Republican centrists, from left, Ohio Gov. John Kasich, former California Gov. Arnold Schwarzenegger, and New Way California founder, Assemblyman Chad Mayes, appear at the first New Way California Summit. 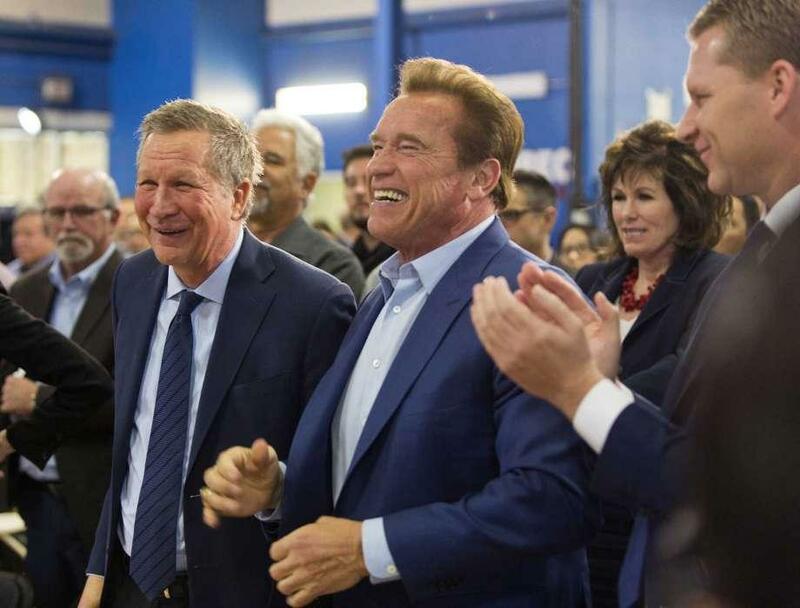 • Former California Governor Arnold Schwarzenegger and Ohio Governor John Kasich headlined the first event for a group of California Republicans trying to push the party in a more moderate direction. Today's reporting by Ben Bradford.